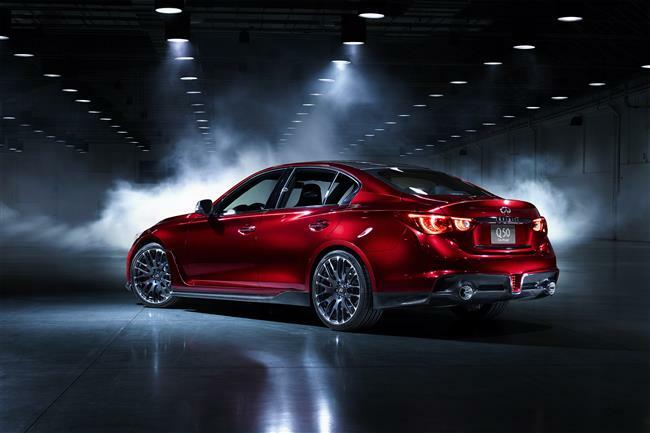 Home » Infiniti Q50 Eau Rouge Concept: all talk and no action? 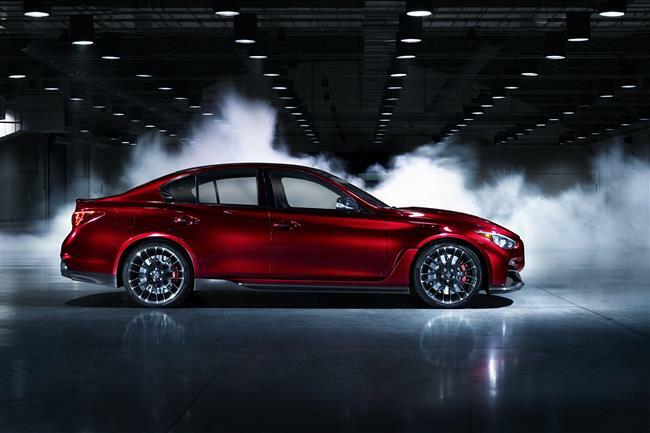 Infiniti Q50 Eau Rouge Concept: all talk and no action? 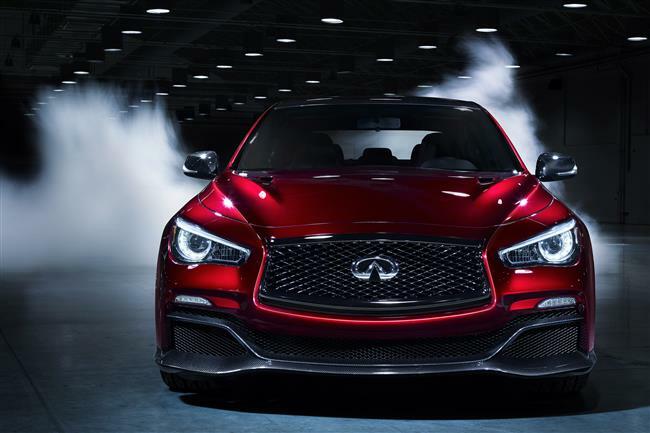 Infiniti’s press release today at NAIAS talks up the Infiniti Q50 Eau Rouge… but still doesn’t give any details of the engine or even that the car will be built. Notice the wording (highlighted by us in red below) “If we built this car“. Given the press about this car over the past month an announcement of production might have been expected at the NAIAS show this week. But no – lots of talk, many new images, but no action. And where is the 550HP twin-turbo V-6 that Infiniti chief Johan de Nysschen let slip in the December 2012 announcement? So, a disappointment today at NAIAS from Infiniti. 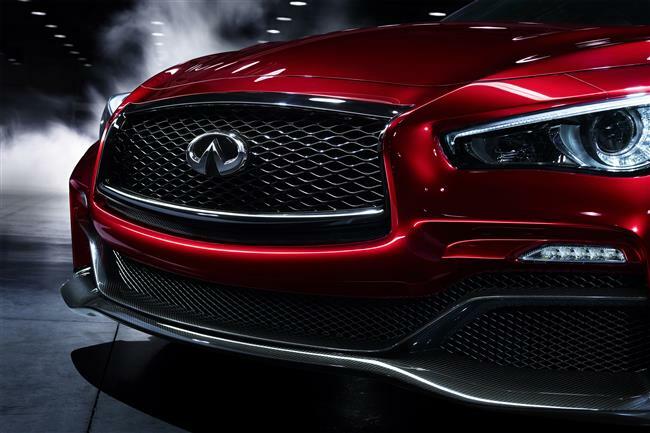 Detroit / Hong Kong – The Infiniti Q50 Eau Rouge, revealed at the 2014 NAIAS Detroit Motor Show, is a concept car that expresses Infiniti’s design vision of a high-performance Q50 premium sports sedan. 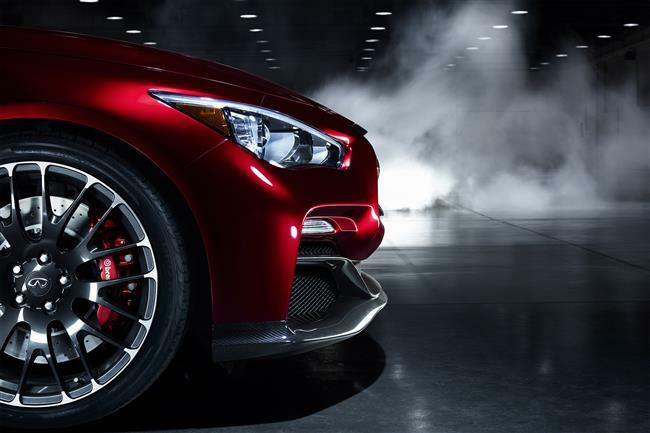 The Q50 Eau Rouge embodies the arresting design features of the Q50 premium sports sedan – infused with the enticing spirit of Formula One. 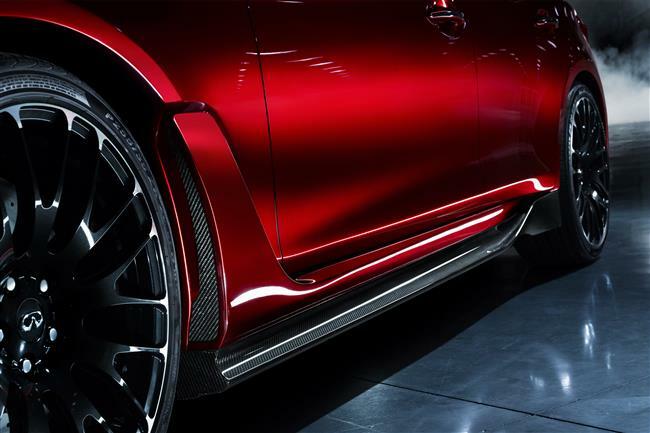 Featuring bespoke aerodynamic carbon fiber bodywork, Q50 Eau Rouge is lower and wider, possessing genuine road presence. This striking design is inspired by muscularity, aerodynamics, refinement, and understated power. “If we built this car I would expect it to feature over 500hp and 600lb/ft of torque. Through our various alliance partners we have access to a range of engines featuring this performance capability which, with a fair amount of engineering effort, can be developed to exhibit Infiniti character and accommodated within the Q50 engine bay. The engine we are evaluating for the Q50 Eau Rouge is a big personality, V-cylinder engine with forced induction. I think our engineers have been waiting for a project like this,” said Johan de Nysschen, President of Infiniti Motor Company Limited. The Q50 Eau Rouge was born out of competition at the very pinnacle of motorsport, mirroring components from the successful RB9 race car. Almost every exterior panel is bespoke to the Q50 Eau Rouge, with only the front doors and the arch of the roof pillars retained as standard components. Q50 Eau Rouge visibly hunkers down with menace and intent. New front and rear fenders extend the current Q50’s already broad-shouldered stance by 20mm, while a larger deck lid spoiler creates air-pressure downforce. All of this dynamic width is wrapped in a tailored coat of customized red paint. 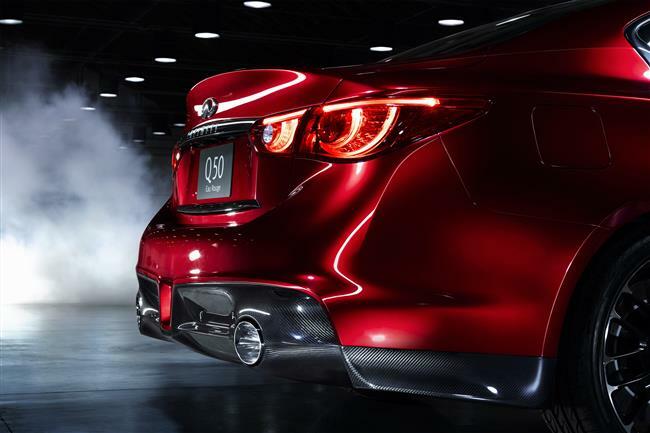 Framing the paintwork across the Q50 Eau Rouge’s athletic physique is dark-chrome detailing to replace the chrome bright work of the production Q50, darkening the concept’s demeanor dramatically. Q50’s signature double-arch front grille too takes the dark-chrome’s matte finish, as do the glasshouse surrounds, door handles and deck lid accents. 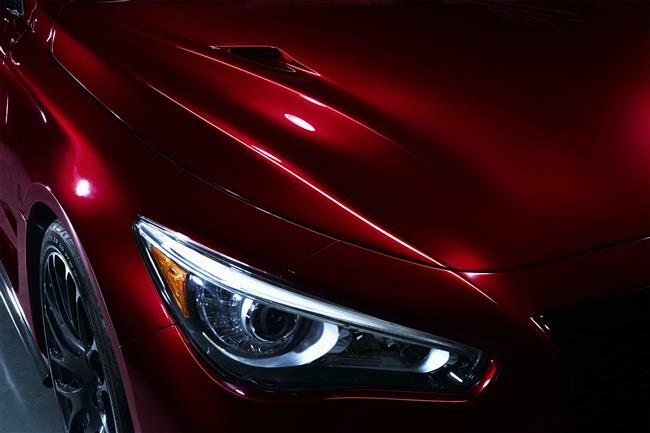 The curving hood is double air-vented as a further suggestion of the capability and purpose of the Q50 Eau Rouge. 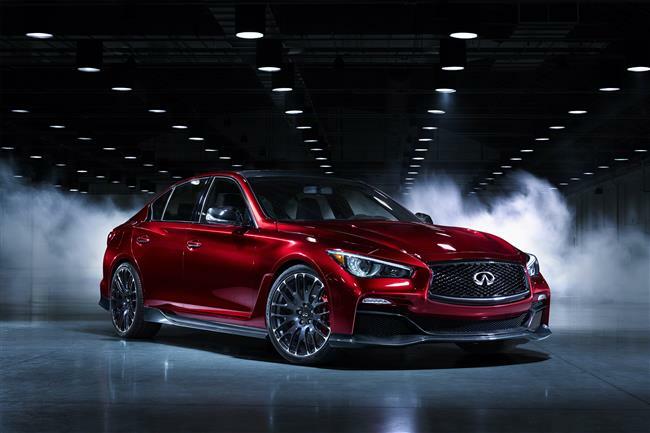 “From our shared passion for performance with Infiniti Red Bull Racing grew a collective desire to produce an ambitious and powerful Infiniti Q50 design study. 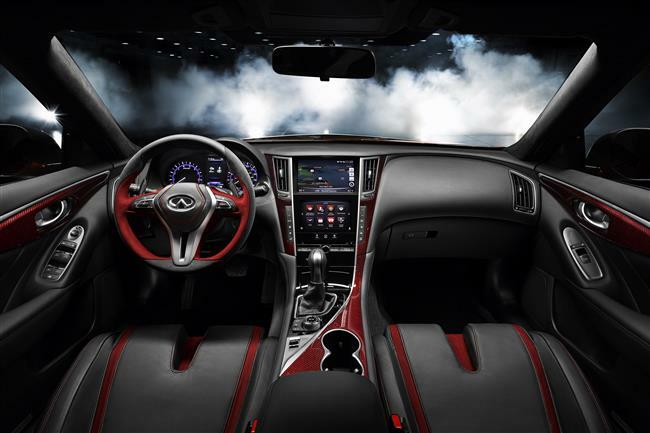 The overall design creates a feeling of refined muscularity,” said Alfonso Albaisa, Infiniti’s Executive Design Director. “The design has a number of distinctive Formula-One inspired touches. In particular, the sculpted front wing assembly and the rear aerodynamic packaging take their cues from the RB9 race car. The rear fog light packaging is unmistakably Formula One. 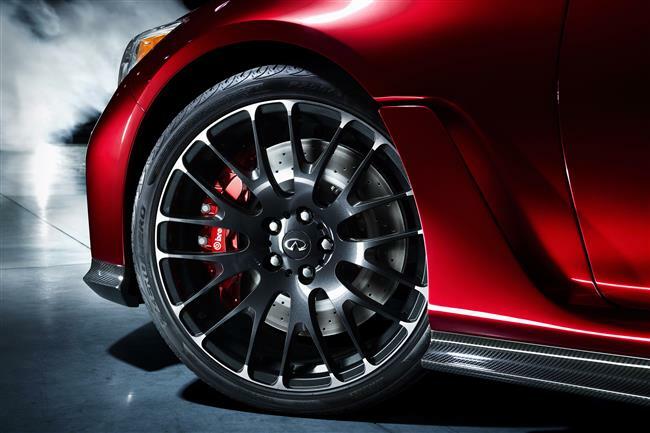 Part of the concept’s exterior treatments include lightweight 21-inch forged alloy wheels which fill the wider arches. Further underlining the sporty character of the design study, the interior was designed to offer command and comfort. Further precision control is afforded by a high-grip sports steering wheel and Formula One-style paddle-shifters. 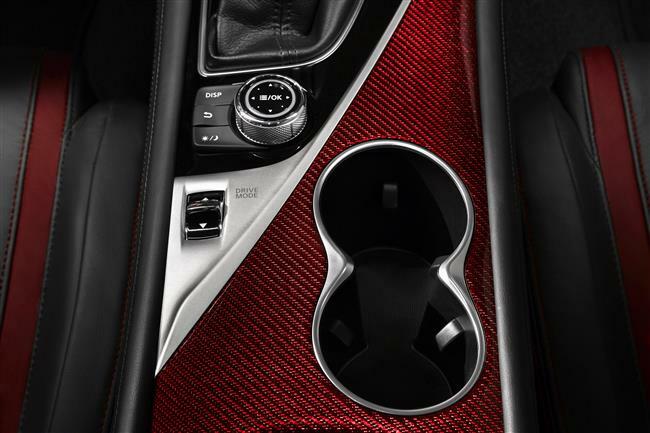 Red-infused carbon fiber detailing to the doors and center console complement the exterior style, and dark-chrome again replaces silver-chrome in the red cockpit. 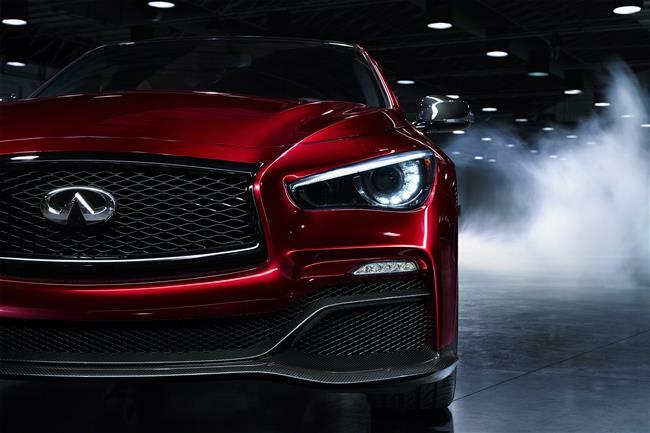 The breadth and depth of capability is self-evident; the Q50 Eau Rouge is a design concept that clearly indicates what Infiniti could achieve if it was to build a performance version of the Q50 sports sedan. 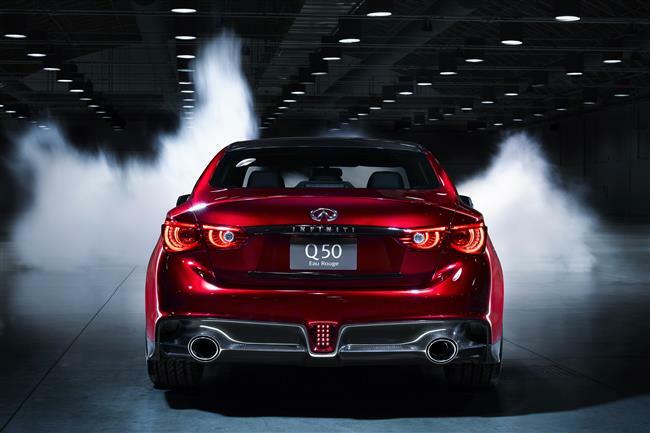 “Performance is a key ingredient of Infiniti vehicles such as the Q50 sports sedan. Our involvement in Formula One provides inspiration and excellence to our designers and engineers. 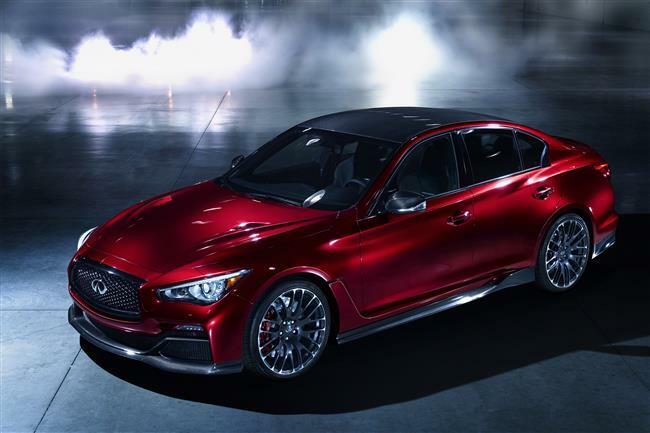 Q50 Eau Rouge provides not only a glimpse of the design language, but also the performance capability of a future special series,” de Nysschen added. INFINITI Project Black S: it is for real?